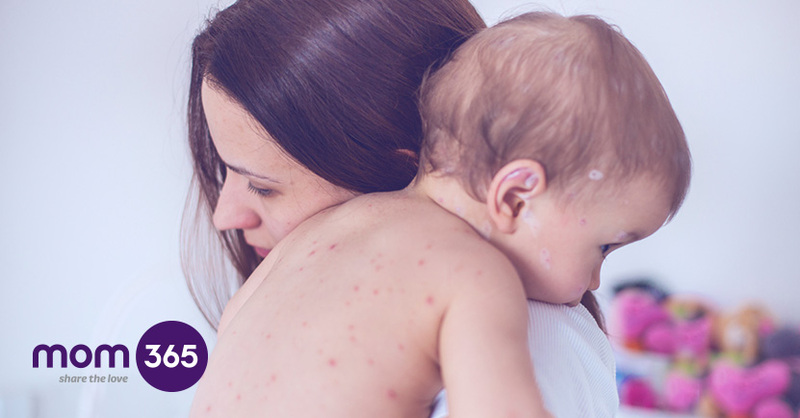 Home | Mom | Family Health Concerns | What is Chickenpox? Chickenpox is a common viral illness characterized by an extremely itchy rash of fluid filled blisters. Most children catch it when in preschool or primary school, although adults can catch it too. It is caused by a very contagious airborne virus called varicella-zoster. It's most infectious from a couple days before the rash appears until the last blister has crusted over about a week later. Your child is very likely to develop symptoms if he's been in contact with another child with the illness. A lot of moms would prefer their child to catch chicken pox before they start school to get it over and done with. Although in most cases it is a mild illness, it can in some cases cause complications if it spreads into the mucous membranes and not just the surface of the skin. Traditionally moms held "chicken pox parties" where children who had not had the illness would be sent to play with a child who had it. However you might be leaving vulnerable adults who have not had the infection – open to infection. Affected children should be kept away from pregnant women, newborns and anyone with a weakened immune system (so that means people with diabetes, cancer and the elderly, amongst others). But how will you know whether another mom at the party might be pregnant? They might not even know it themselves, and contracting chickenpox in pregnancy can cause serious complications. And what if a vulnerable adult comes to pick up one of your child's friends? So all in all, it's best to quarantine your child until the scabs have formed – and let their school, nursery or any other group they've been mixing with know they've got chickenpox. Over-the-counter remedies can help alleviate the itching, which can be incredibly acute, so ask your pharmacist. Tepid baths might bring some temporary relief, too. If your child has a fever you can give the appropriate dose of paracetamol or other children's medicine, though again, it's best to ask your pharmacist for advice.